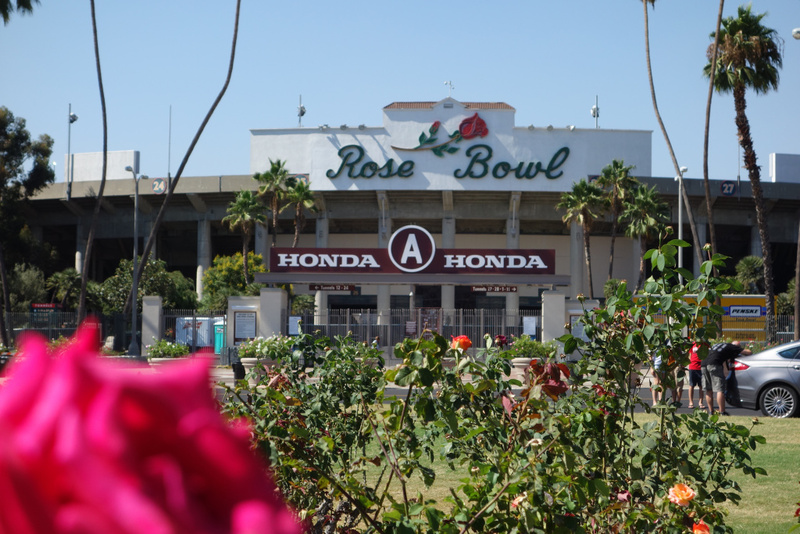 The Rose Bowl is run by the Rose Bowl Operating Committee, a public enterprise owned by Pasadena. In 1947, the Rose Bowl Game was set up in the way most people are used to seeing it. It pit the winner of the Big Ten Conference, teams such as Michigan or Ohio State, against a team from the Pac-12 such as USC or Washington. But this year the game will be played by two teams from across the country -- the No. 2 Oklahoma Sooners and the No. 3 Georgia Bulldogs. "In 2014, when college football shifted from the old BCS format, which was basically a combination of voting and computer math determining who plays for the National Championship game, to a championship being determined by a playoff format featuring four teams. It was determined that every three years, the Rose Bowl would serve as one of the tournament games to determine the national champion and then alternate to a more traditional match-up. "This year it is one of those tournament games. You'll be seeing No. 2 Oklahoma vs. No. 3 Georgia who have each played in the Rose Bowl only once." "For college football, this is a massively important game this year. We're talking about a game that will help determine who the national champion will be. So, from a sports standpoint, it's a massively significant game. "I do think from a local perspective, if you're a traditionalist, if you're used to seeing certain colors come through, if you're used to seeing USC have an opportunity to play or even the rare opportunity for UCLA to pop up in the Rose Bowl, it probably does seem at the very least a little strange. We're going to be seeing, over that weekend, some people who aren't normally here. So it will be very different looking at the Rose Parade and into the game this year than it normally is."